Car wheel bearings are used in pairs in the past most single row tapered roller or ball bearings. With the development of technology, the car has been widely used car hub units. The growing scope and use of the wheel hub bearing unit has been developed to the third generation: the first generation is a double row angular contact bearing components. The second generation of the outer raceway for bearing a fixed flange, can simply be set to a fixed bearing on the axle nut. Makes the car maintenance becomes easy. The third generation wheel hub bearing units are bearing unit and uses the anti-lock brake system compatible. The hub unit is designed to have the inner flange and outer flange, the flange is bolted to the drive shaft, the entire bearing outer flange fit together. My company strength of aluminum auto hub casting, CNC machining, and QA control. NINGBO BEILUN LEMA MACHINERY TECHNOLOGY CO., LTD is a company specialized in designing and manufacturing various kinds of moulds, aluminum die casting parts, zinc alloy die casting parts, aluminum gravity casting parts, aluminum sand casting parts, stainless steel casting parts, precision machining parts and metal stamping parts. The company mainly supply to automobile parts, motorbike parts, railway parts, communication parts and light parts for my customers. The most of parts are export to occident countries. 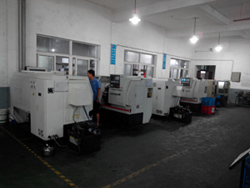 The company is located in Ningbo city which is well-known as "Hometown of mould". And very close to the Ningbo port and Highway. It takes only about 40 minutes' drive from Ningbo LISHE International Airport to our company. 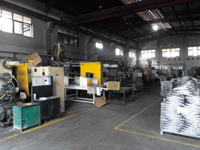 The company possesses brand hot chamber die casting machines from 50T, 88T and 120T, cold chamber die casting machine from 160T, 280T, 400T, 500T, 630T, 800T and 1250T. 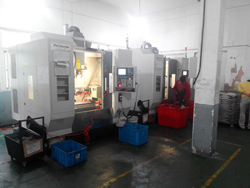 We have 10 CNC machining processing centers with four-axis, 10 high precision CNC turning machines and stamping equipments. 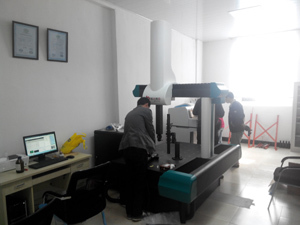 About the quality testing and checking, my company has the three-coordinate measuring device, direct-reading spectrometer, Mechanical Test equipment. mould, casting, machining, assemble, packing of parts, the company has strict quality checking way and quality control process. We think the quality is our proper pride, also the life of company. We will do more development in order to do better service for our customers. I believe that when you give me one chance, at the same time giving you a good chance to find a good supplier. 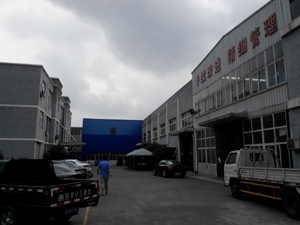 Factory Location: No.305 West of Batou Road, Beilun district, Ningbo, P.R. China.